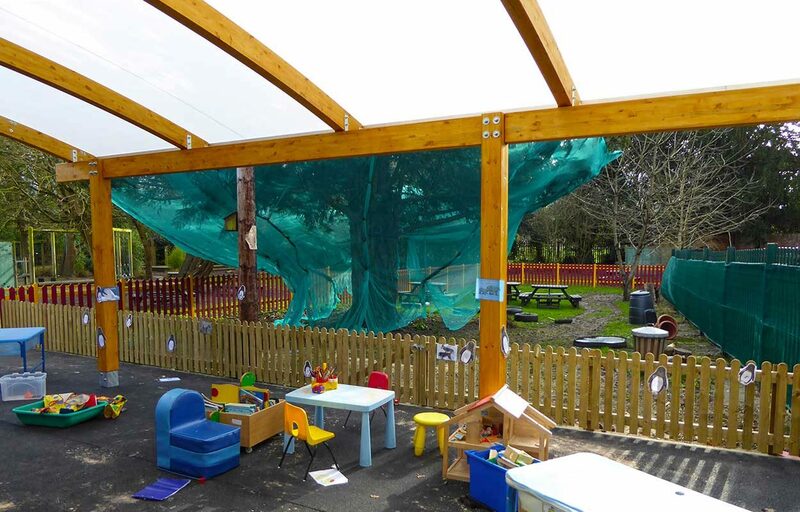 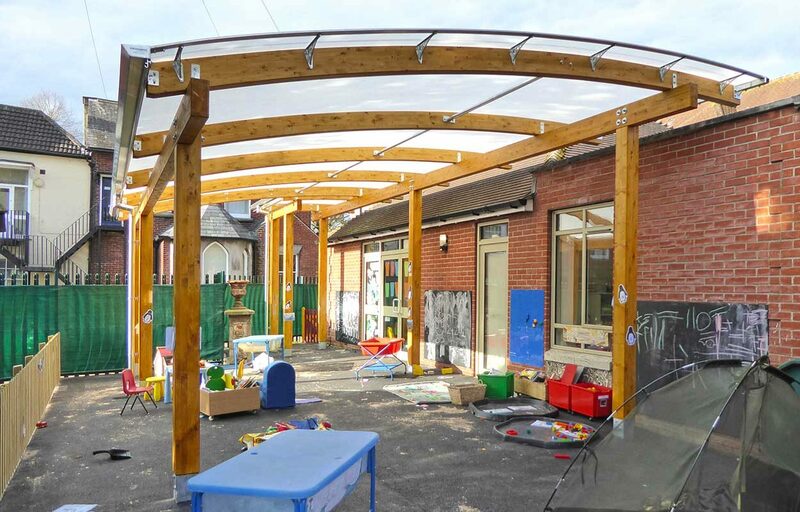 St Osmund’s school required a covered outdoor learning and play space outside one of their classrooms to fulfil a requirement of the early years foundation stage curriculum. 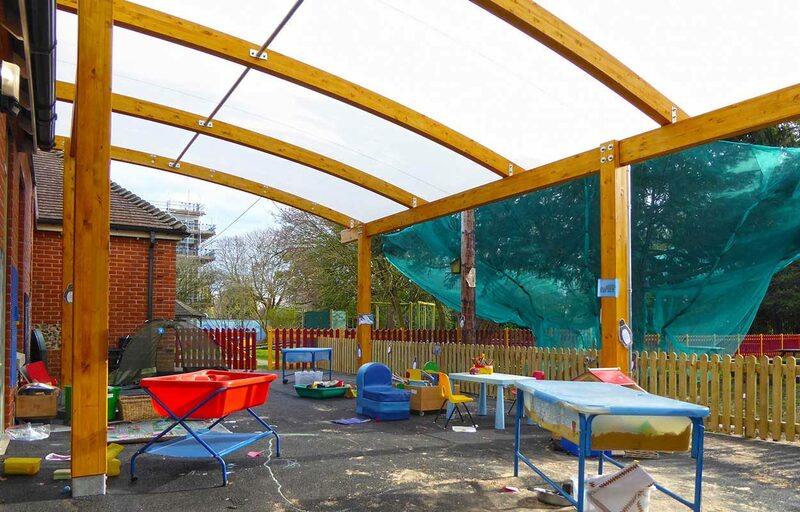 Fordingbridge were able to provide the perfect solution using a 5m x 11.5m timber canopy with Opal 60 fabric roof covering. 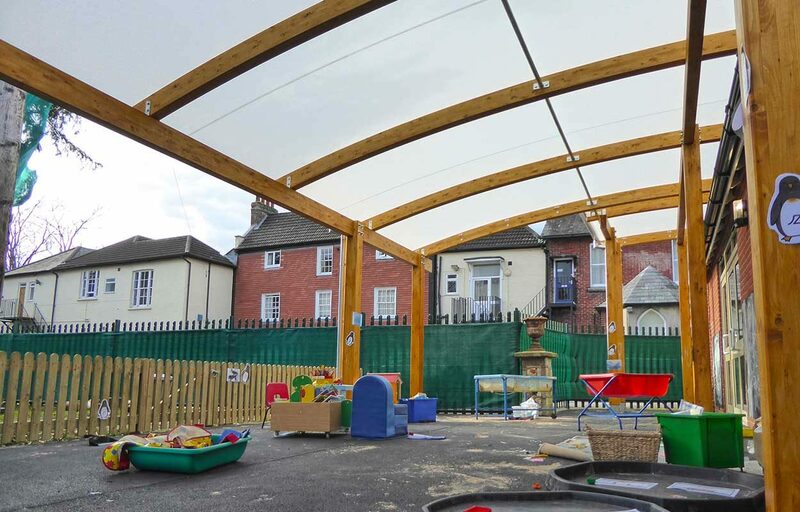 Opal Fabric has been developed exclusively for Fordingbridge in response to customer requests for a UV stable, 100% waterproof and fire-retardant canopy fabric. 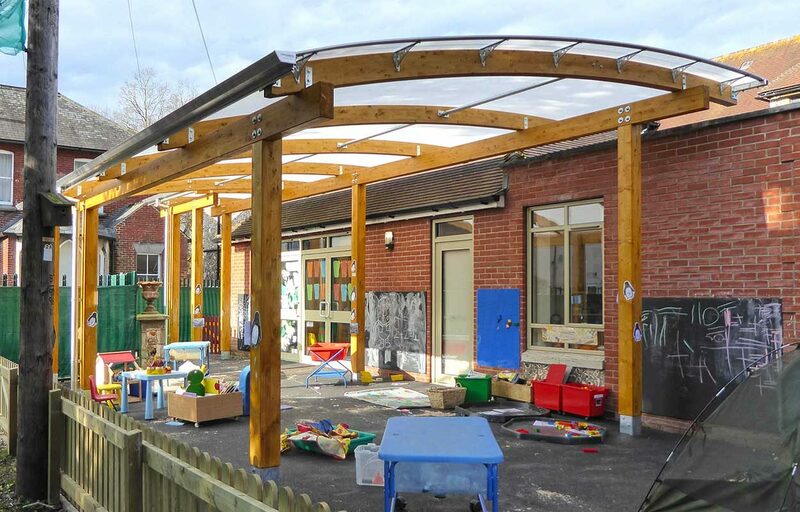 Maintenance is minimal due to a smooth finish and an innovative self-cleaning surface treatment.